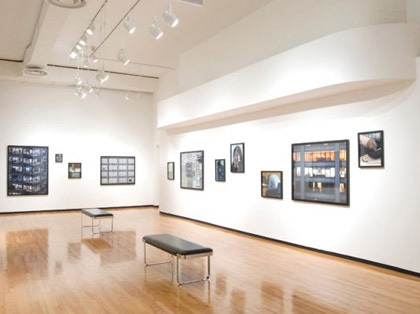 On June 4, 2008, the Center for Community Arts Partnerships (CCAP) and the Museum of Contemporary Photography (MoCP), Columbia College Chicago, will open Talkin’ Back 5: Chicago Youth Respond, an annual exhibition of photography and creative writing. This exhibit showcases the work of Chicago youth who respond to major issues and ideas impacting our communities with riveting personal reflection and aesthetic expression. Talkin’ Back serves as a model for what can be accomplished when college-based urban institutions like MoCP and CCAP share their vast resources. Talkin’ Back began four years ago as a conversation about text and image among photographers and writers working in programs sponsored by the MoCP and CCAP.Today it continues as a partnership between CCAP’s nationally recognized arts integration program Project AIM (Arts Integration Mentorship) and the MoCP’s Picture Me program. Project AIM partners teaching artists with public school teachers in Chicago to create arts-integrated curriculum that promotes reading and writing through the arts. Picture Me teaches Chicago teens professional photography skills that enable them to examine their lives and communities, express themselves creatively, and further their career and academic goals. “Talkin’ Back serves as a model for what can be accomplished when college-based urban institutions like MoCP and CCAPshare their vast resources—their faculty, visiting artists, exhibition spaces and the artworks and books in their archives—with the community,” says MoCP Education Manager Corinne Rose. The exhibition includes artwork by students from the Academy of Communications and Technology (A.C.T.) Charter School, Curie Metropolitan High School, Herzl Elementary School, Juarez Community Academy, Sabin Magnet School, and Uplift Community School. The Talkin’ Back exhibition is an inspiring opportunity for students to work with professional photographers and writers, and produce work for a very public and professional exhibition. Among the projects on display is a collaborative installation, 1000 Words/1000 Pictures, that creates a collective voice of words and images gathered from the two hundred youth participants from schools throughout Chicago. Students will take 1,000 snapshots interpreting the theme of “Poverty and Privilege.” This theme originates from Columbia College’s “Critical Encounters” series, an annual program that provides teaching and learning opportunities and critical discussion on social and political issues among Columbia’s diverse staff, students and community partners. Chicago youth will add their voice to this discussion through the 1000-picture installation. Participating students will also generate 1,000 descriptive words in response to the photograph Chicago, 1962 by Ken Josephson, a celebrated artist in the MoCP’s permanent collection. 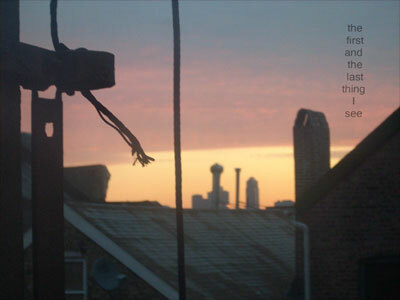 “The Talkin’ Back exhibition is an inspiring opportunity for students to work with professional photographers and writers, and produce work for a very public and professional exhibition. Through this partnership, students of diverse cultural backgrounds, age groups and neighborhoods, are assured that when they talk back, there is an audience of adults at a premier arts college that will listen and respond,” says Cynthia Weiss, CCAP’s Associate Director of School Partnerships/Project AIM.